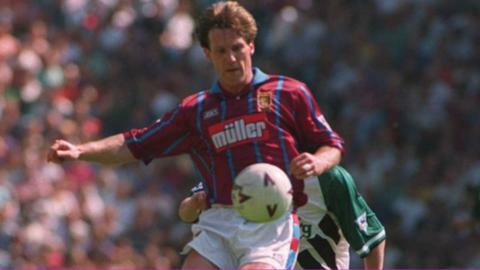 Former Aston Villa stars Shaun Teale and Peter Withe believe they could be the managerial duo to "kickstart" struggling AFC Telford United. Telford, bottom of the Blue Square Bet Premier after 22 games without a win, have Graham Hyde in charge until the end of the season since the departure of Andy Sinton and then Mark Cooper. But Teale is not concerned about the size of the task that might face them. "I don't mind kicking backsides. It doesn't bother me," said Teale. "I believe there's been problems in the dressing room and it was felt that me and Peter Withe, as a team, could go in and sort out what was wrong." he told BBC Radio Shropshire. A star of Villa's league title-winning team in 1981 and scorer of the goal that won the European Cup a year later. He also won the title with Nottingham Forest in 1978. Also played for Southport, Barrow, Wolves, Birmingham City, Newcastle United, Sheffield United and Huddersfield Town in a career that brought him 11 England caps, along with 177 goals in 531 league games. Apart from a brief spell in charge of Wimbledon in 1991, his managerial experience has mainly been abroad and includes the national teams of Thailand and Indonesia. "You go into a club as manager and your job is to put a team on the pitch to win games and, if that means you upset people, then so be it." Much-travelled former Villa centre-half Teale, 48, one of the stars of their League Cup-winning team in 1994, has had three experiences of management in non-league, as player-boss at both Burscough and Northwich before taking over at Chorley. But he sees a partnership with Withe, 61, as a potential answer to Telford's current downward spiral. "Telford is a very famous name in non-league circles," he added. "We'd love to be the next ones to try and bring more success. "We've had no reply as yet. But it's a wait and see like any other job. "Peter's obviously managed at a very high level throughout the world, so his knowledge of the game is immense. "And I'm looking to get back into the game at whatever level." Another man keen on the job is former Newcastle United and Port Vale midfielder Ian Bogie, who moulded Gateshead into genuine Blue Square Bet Premier play-off contenders last season. He was sacked in December with his side in 14th, having won only six times in 22 games. "I'm still very keen," Bogie told BBC Radio Shropshire. "I've played in the Midlands with Port Vale and Kidderminster Harriers, so I know the area well. "I put my CV in when Andy Sinton left the club and I'm still available. "Telford have great potential. They have a super stadium, with big ambitions, and I'd like to help the club develop."